Have you heard the news? Vitamin C is in again. You are probably seeing this in fashion and health magazines now as they feature the age-defying benefits of adding Vitamin C skincare to your routine. My friends at Vichy shared their Vichy Liftactiv Vitamin C Serum products collection, and I put them to the test. I can’t think of a better time to test it than during a 15-day European vacation. I received three Vichy Vitamin C products to try, the brightening skin corrector, vitamin C serum and moisturizing day cream with SPF 15. The claims are the introduction of a new generation of anti-ageing skincare products designed to show better results immediately. Here is the breakdown of my experience with each product. 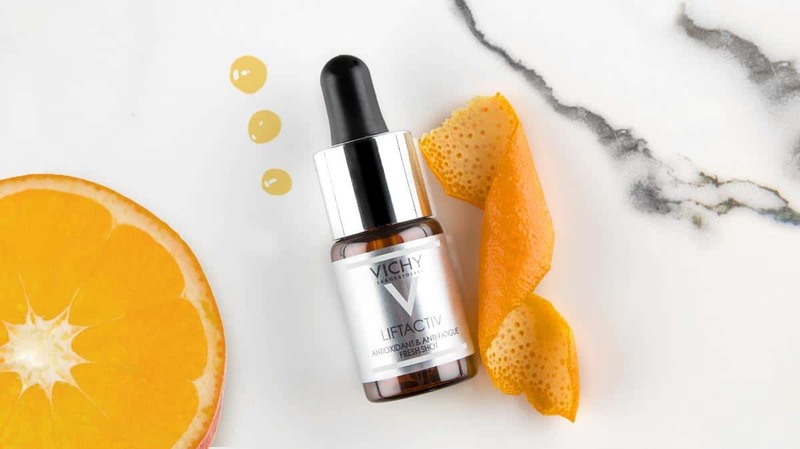 It is a bit confusing but the brightening skin correcter is a concentrated oily Vitamin C serum, and there was a second product called Vichy Liftactiv Serum 10 which was for day-to-day use. I’ll start with the miracle Vichy Lifactive serum Vitamin C concentrate. Claim: In 10 days of use skin will feel firmer as if lifted, rested and hydrated. What it is: A face serum with 15% Pure Vitamin C, Vitamin E, Fragmented Hyaluronic Acid and Vichy Mineralizing Thermal Water. July through October I found myself in an intense travel cycle. 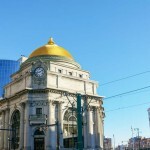 I took over seven trips during that time which ranged from Atlantic Canada, Vancouver and through busy cities like Montreal, Philadelphia, and Washington. No doubt I was tired, and my skin looked tired too. It is hard to keep up with a skincare regiment when you are flying and running through press schedules, then coming home to process it all. I received my Vichy vitamin C serum products one day before my 15-day multi-destination vacation in Croatia. I promised myself I would put this product to the test and am happy to report that for 10-days I applied the Vichy Liftactiv Vitamin C serum religiously. My Experience: It takes just 4 or 5 drops of this oily serum to do the trick. Remember it is a concentrated dose. This was only one added step to my usual regiment of serum and day moisturizer. The applicator made it easy to apply just 4 or 5 drops, and this was enough to cover my face each day. I was glowing but was that due to my vacation or to the product? 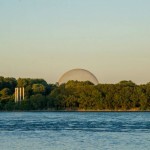 Claim: Improved on best-selling anti-wrinkle face serum, see results much faster. In 10 days of use signs of ageing look corrected. My Experience: Ok, I loved this Vichy Vitamin C serum and can see why it is a best seller. I liked the applicator it made it so easy to apply just the right amount of serum to my face each morning. The Vichy Serum 10 Vitamin C serum is a soft milky liquid which absorbed quickly into my skin. 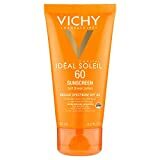 I’m a big fan of this Vichy Vitamin C moisturizer, and I wish it came in a more travel-friendly package. Claim: This anti-wrinkle moisturizing cream promises you will see immediate results beyond its long-term correction. So within a day or two corrective results will be noticeable. 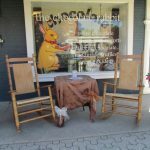 My Experience: I wanted to love this product. I did. However, I did not feel like the consistency of this moisturizer lotion. I know this is about me and my issues finding the right skincare products that offer sunscreen protection, but this product applied like sunscreen and burned my eyes like sunscreen. It had an oily runny texture, and I didn’t like how it smeared on my skin, in fact, there were days I skipped it all together and just applied the first two products instead. Vichy Vitamin C Skincare – Does it live up to the hype? Well, I do like how my skin looked and felt after taking the 10-day challenge and did notice the appearance of smoother skin. I have problems differentiating the brightening claims though, as I don’t look at my skin that closely. Also, I was enjoying the sun on a yacht, island hopping in Croatia…so hard to say for sure! I do know that when I pulled out my Vichy Vitamin C serum drops again and completed another 10-day routine during winter; my skin felt firmer and moisturized. In winter, I often have dry, flaky skin and as soon as I refreshed my face with the drops, this went away. The Vichy vitamin C 10 serum and Vichy moisturizer both have much larger and heavier glass packaging. Not ideal for travel especially with carry-on only travel. I am more disappointed in the Vitamin C 10 serum, not being in a more travel-friendly packaging than the moisturizer because I did like its formula and the results I saw from using it. 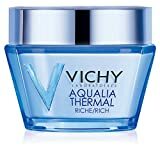 Vichy Aqualia Thermal Rich Cream Moisturizer, 1.69 Fl. Oz. 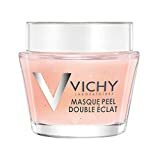 Vichy Normaderm Hyalu Targeted Acne Treatment with Salicylic Acid, 0.5 Fl. Oz. 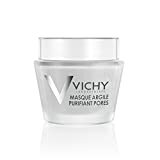 Check out these Vichy Product reviews too! Disclosure: I received a gifted sample of the Vichy Liftactiv Vitamin C Serum and Moisturizer collection for this review.